Mount this to fire Rockets at your enemies. 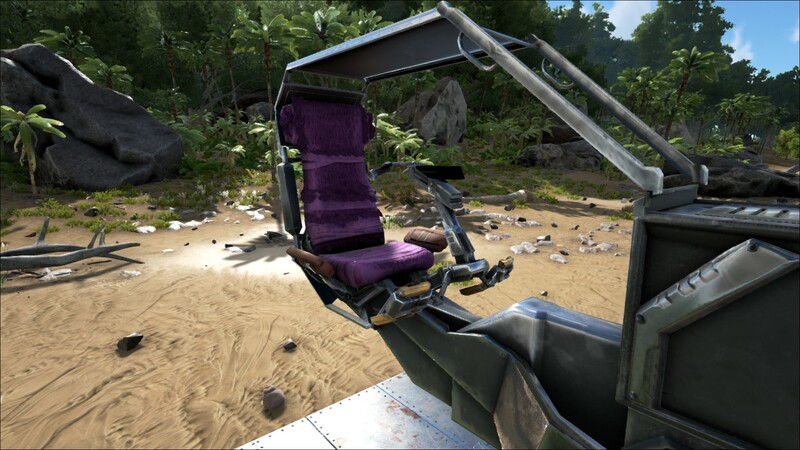 Powered by the rider. 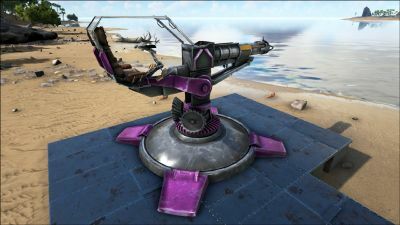 The Rocket Turret is a stationary turret that fires Rocket Propelled Grenade. 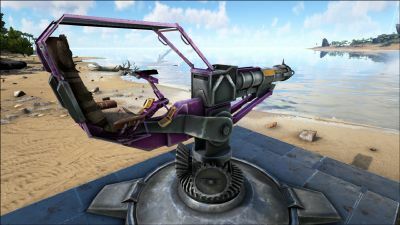 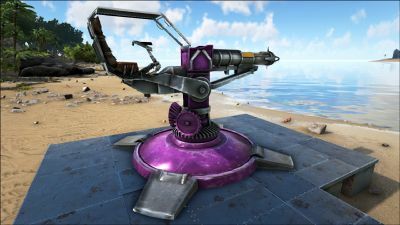 Players must mount the turret to control and fire it; it does not need electricity. 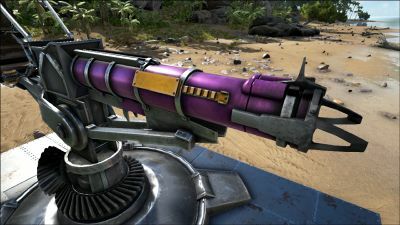 While having the same damage per RPG as a primitive Rocket Launcher, it can shoot them 4 times faster and does not lose durability in doing so, unlike the rocket launcher. 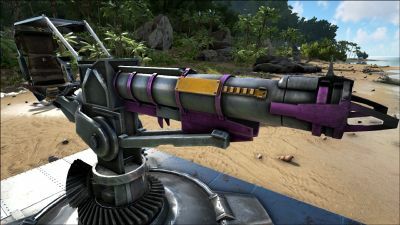 As of patch 255.0, Rocket Turrets take a small amount of damage when firing, and can not fire while under 5% health.